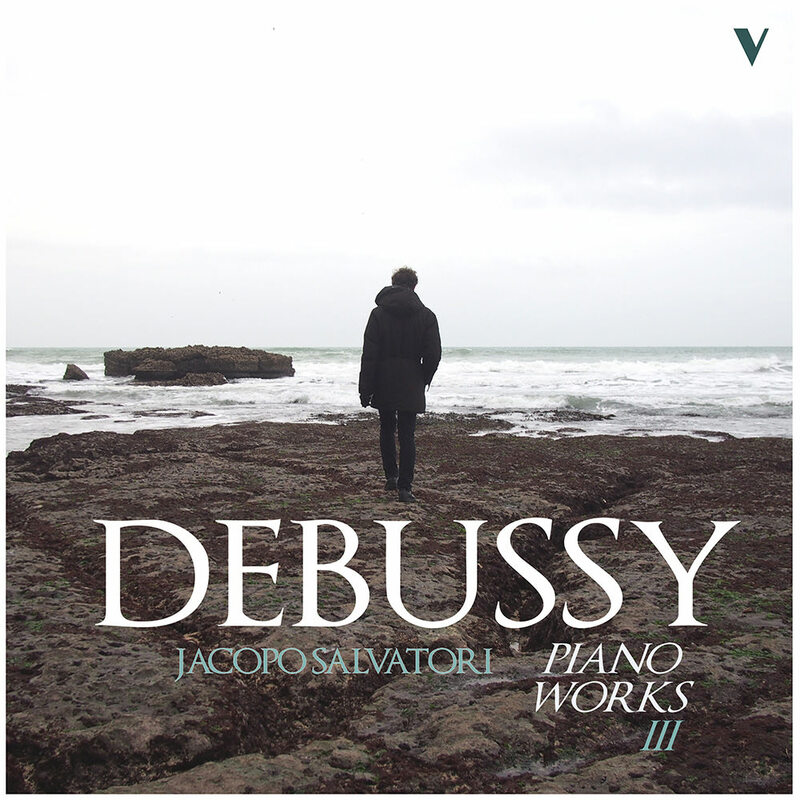 Danse, L. 69 "Tarantelle styrienne"
Italian pianist Jacopo Salvatori continues his Debussy series with this third volume, featuring a number of short pieces, most of which were written by the composer during the first years of his career. Debussy’s way of writing for piano at this early stage is less articulated yet it contains a certain degree of complexity in his inner structures, a clear indication how he had already taken his own path. The choice of subjects and the manner in which he presents his ideas also show a stronger connection with the traditional repertoire: the most interesting example here is the suite Images oubliées, literally a first version of Pour le piano, where his preliminary sketches would later appear in his most important works.